You are cordially invited to participate in the eleventh anniversary conference of the European Intellectual Property Teachers’ Network(EIPTN) at the University of Poitiers, France, from 8 to 10 November 2018. 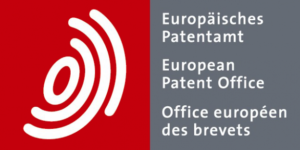 The EIPTN is multi-disciplinary in focus and aims to bring together intellectual property law (IP) teachers from across Europe to exchange ideas on best practice in IP teaching and learning activities. The European Patent Academy of the European Patent Office (EPO) and the Academy of the European Union Intellectual Property Office (EUIPO) support since 2007 the EIPTN Annual Conference. Our host, the University of Poitiers, was founded in 1431, and originally comprised the Colleges of civil law and canon law, together with the Colleges of arts, medicine and theology. Considered one of the most important higher-education institutions in France and in Europe, the University of Poitiers boasts a large community of foreign students and a vibrant intellectual academic community. For more information on the University of Poitiers please refer to the following link: http://www.univ-poitiers.fr/. 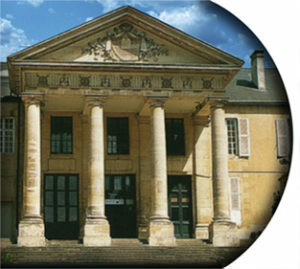 The University of Poitiers also hosts the “Centre d’Étude sur le Coopération Juridique Internationale (CECOJI)”, active for decades in Intellectual Property Research. In the IP Teaching and research community in Europe, there is a reviving interest in improving IP Teaching, a topic sometimes neglected in the past by Academics under pressure to deliver research results, though they are getting more and more evaluated on their research output. There will also be a ‘best practice’ session delivered by the EPOand EUIPOdevoted to explaining and demonstrating the IP teaching materials they have developed, in particular online tools that facilitate the work of Academics. Following the conference on 8 and 9 November 2018, a cultural event, together with a special seminar on IP teaching and the protection of geographical indicationswill take place on Saturday 10 November at the Poitiers University External Campus located in the GI oriented Cognac Area. The working language for the workshop will be English. The deadline for receipt of abstracts is Friday,7 September 2018. The EIPTN committee will then select abstracts based on their innovative character and potential contribution to the teaching of IP. Under its traditionally dynamic orientations, EIPTN wishes to enlarge and extend its membership basis. To this end, contributions are encouraged not only from IP teachers from the European Continent but also from young IP researchers and from Public Organizations engaged in IP teaching activities.In this respect, non-EIPTN members are welcome. One or more special sessions will be dedicated to their presentations. EIPTN will support each participant selected to give a presentation up to a maximum of 425 Euros on production of receipts for economy travel, accommodation and subsistence associated with attending the conference in Poitiers, France. Please note that, due to budgetary constraints, the subsidy is only available for one participant per presentation. Co-presenters are most welcome but they will need to fund their own travel, accommodation and subsistence. We welcome delegates who are IP teachers and IP professionals (e.g. patent and trademark attorneys, technology transfer office staff, scientific researchers) to attend EIPTN 2018 without giving a presentation – however, in this instance, delegates will be expected to fund their own travel, accommodation and participation costs. Notification of the programme of speakers for the workshop and further details about how to register for the event if you are not a speaker will be sent once all abstracts are selected. We confirm that the “formal” conference will take on 8 and 9 November 2018, with a special session on the afternoon of 9 November for young Researchers /Academics. A field trip, with a special session on IP Teaching and the protection of GIs, will take place on Saturday 10November to the Cognac wine yards area. Poitiers is located south-west of Paris and is very easy to reach both by train and by air. By train, the TGV (high-speed train) from Paris City Center takes only 73 minutes with dozens of services per day. By plane, Poitiers’ international airport (Aéroport de Poitiers-Biard) is very close to the city of Poitiers and is served by several national and international airlines. The direct TGV high-speed train service connects every other hour Poitiers to Paris Charles de Gaulle Airport. Please note that Poitiers can also be easily accessed from Bordeaux Airport, since the TGV (high-speed train) from Bordeaux City Center takes only 77 minutes with dozens of services per day, and from Tours Val de Loire Airport, since the TGV (high-speed train) from the nearby station takes only 30 minutes with numerous services each day. Further information about transportation to /from Poitiers will be provided in the final program. On Saturday 10 November, transportation to the Poitiers University Campus in the Cognac area and v.v. will be provided by EIPTN. A list of recommended hotels will be sent once the final programme is finalised. Details on possible publication opportunities will be given once the abstracts are selected and depending on the quality if both abstracts and presentations. If you know of any IP teacher or young IP researcher involved in teaching activities who would like to become members of our network do please pass them this message. We look forward to receiving your abstracts by Friday, 7 September 2018and hope to see many of you at the workshop in November. EIPTN © 2018. All rights reserved.